The New York Times reports in “N.S.A. Contractor Arrested in Possible New Theft of Secrets” that “The F.B.I. secretly arrested a former National Security Agency contractor in August and, according to law enforcement officials, is investigating whether he stole and disclosed highly classified computer code developed by the agency to hack into the networks of foreign governments. 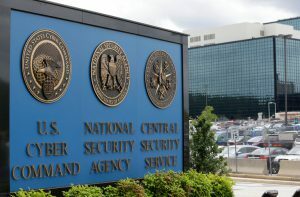 “The arrest raises the embarrassing prospect that for the second time in three years, a contractor for the consulting company Booz Allen Hamilton managed to steal highly damaging secret information while working for the N.S.A. In 2013, Edward J. Snowden, who was also a Booz Allen contractor, took a vast trove of documents from the agency that were later passed to journalists, exposing surveillance programs in the United States and abroad. “The contractor was identified as Harold T. Martin III of Glen Burnie, Md., according to a criminal complaint filed in late August and unsealed Wednesday. Mr. Martin, who at the time of his arrest was working as a contractor for the Defense Department after leaving the N.S.A., was charged with theft of government property and the unauthorized removal or retention of classified documents.